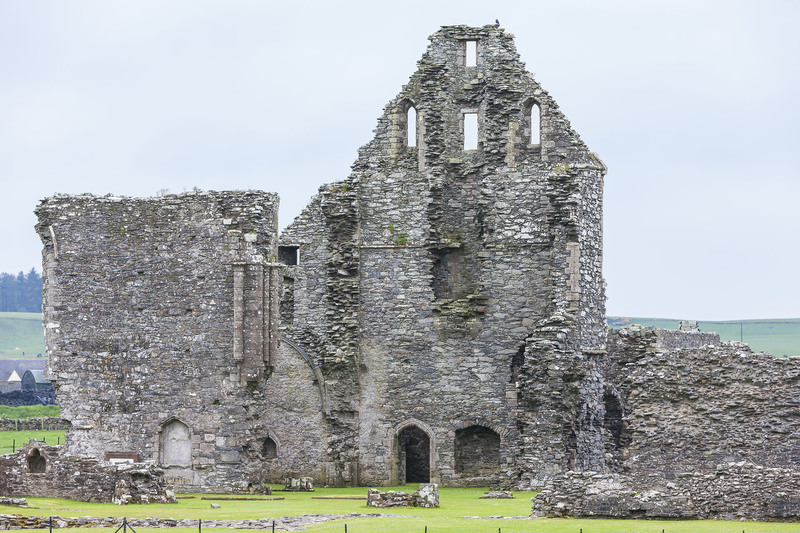 St Machar's Cathedral was built twenty years after David I transferred the pre- Reformation Diocese from Mortlach to Old Aberdeen in 1137. Gavin Dunbar, who followed him in 1518, completed the structure by adding the two western spires and the southern transept. It’s now a congregation of the Church of Scotland. Aberdeen has two other cathedrals: St. Mary's Cathedral, a Roman Catholic cathedral in the Gothic style, erected in 1859; and St. Andrew's Cathedral, which serves the Scottish Episcopal Church, constructed in 1817 as Archibald Simpson's first commission and contains a memorial to the consecration of the first bishop of the Episcopal Church in the USA. St Peter's Church, the first permanent Roman Catholic church in the city after the Reformation, was built in 1804. Edinburgh is a World Heritage Site. 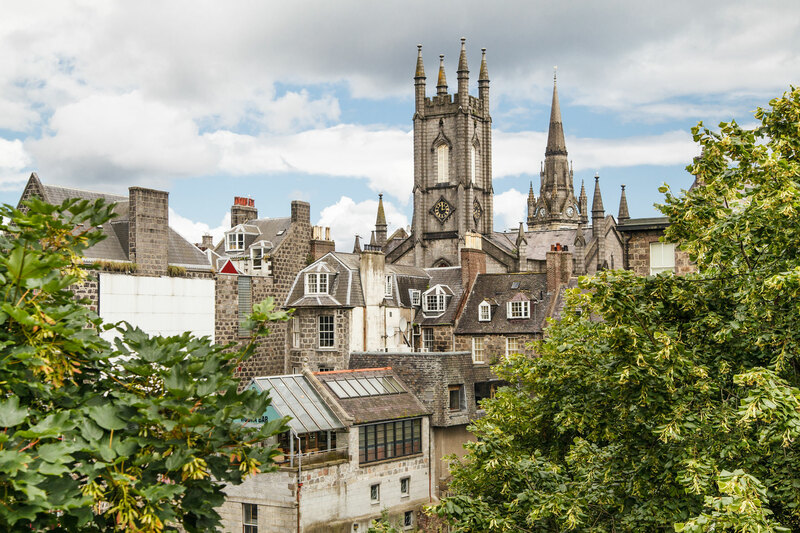 The Old Town of this medieval city holds St. Giles Cathedral, the National Museum of Scotland, Greyfriars kirkyard (best known for the loyalty of a dog, but where God’s people also showed their loyalty) and the Grassmarket where many Christians were put to death for adhering to the Reformation. 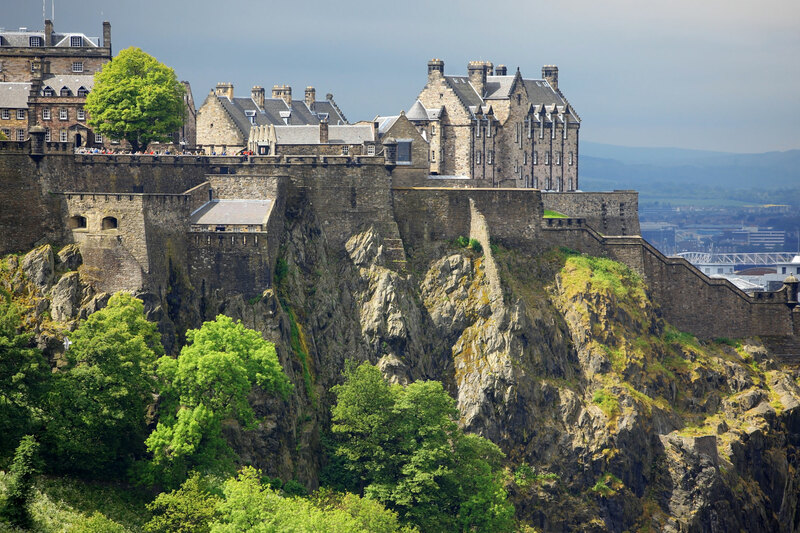 The iconic Edinburgh Castle is a historic fortress that dominates the skyline from its position on Castle Rock. Archaeologists have established human occupation of the rock since at least the Iron Age. The 12th century St. Athernase Church is one of the finest surviving examples of an un-aisled, Romanesque parish church anywhere in Great Britain, with two levels of blind arcading in the Norman style running round the exterior, surmounted by a corbel table with heads of various designs. The interior has elaborate chancel and apse arches and a series of powerful beast-heads on the corbels supporting the ribs of the internal vaults. The apse roof is crowned by a rather incongruous small bell-tower added in the 17th century. West Highland Way winds past beautiful Loch Lomond and passes through the picturesque village of Luss, before reaching the Highlands. 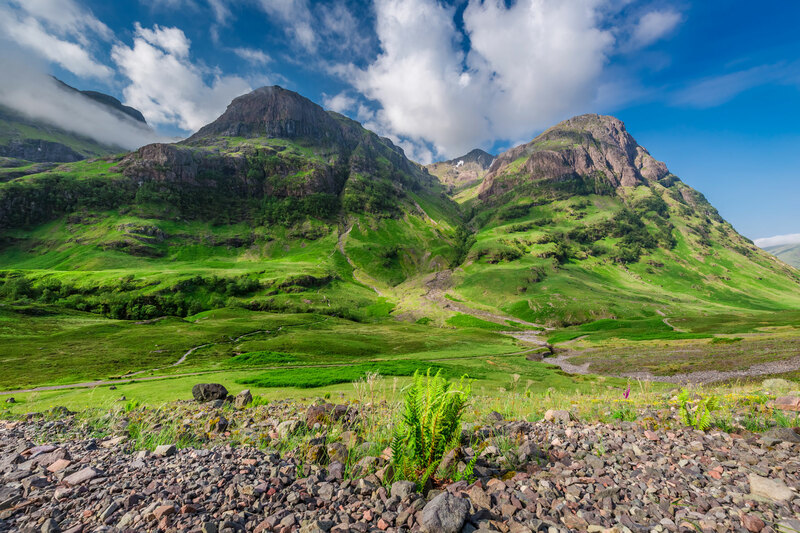 Significant sites include the stunning scenery of Glencoe and the West Highland town of Fort William sitting in the shadow of Ben Nevis, the highest mountain in Britain. In this rural region one encounters many old churches, castles, graveyards and villages full of the stories of ordinary men and women who were killed for their faith in Christ. 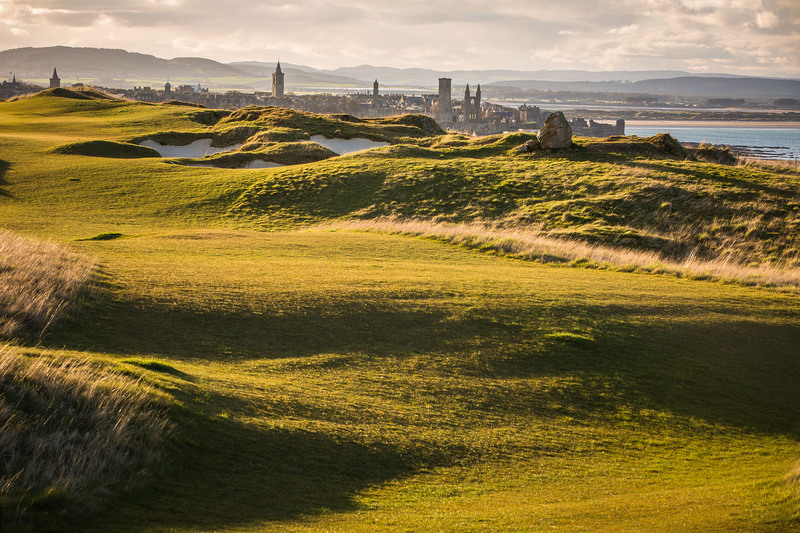 This cathedral town is home to Scotland’s oldest university and the birthplace of golf. It’s a key stop on any Reformation tour for its martyrs’ monument; the spot where Patrick Hamilton – the first Scottish martyr of the Reformation – was killed; where George Wishart, the mentor of John Knox, was executed; where John Knox preached; and the grave of Samuel Rutherford the great Covenanter minister. 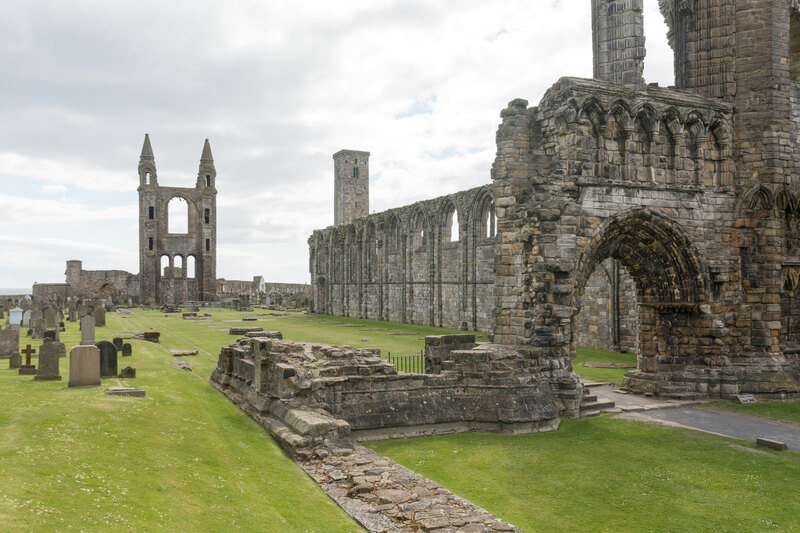 The Cathedral and the beach where the “Chariots of Fire” scene was filmed are additional attractions. Wigtown is known as Scotland’s book town because of its numerous bookshops. The two Margarets were martyred here in one of the most famous stories of the Covenanting times.